Dr. Weitz was born and raised in Cleveland, Ohio. He graduated from Shaker Heights High School in 1972. After attending Kenyon College from 1972 to 1976, Dr. Weitz graduated with a Bachelor of Arts in Biology. He entered Ohio State University College of Dentistry during the summer of 1976 and graduated three years later in 1979. After dental school, he established a dental office and lab at the Ohio State Penitentiary from 1979 to 1980, where he practiced dentistry and helped train inmates in dental lab work. He married Dr. Marie A. Albano D.D.S. in 1979, and stayed in Columbus until she completed her dental education. Dr. Albano found a position at Lakewood Hospital, so she and Dr. Weitz. moved to Cleveland. In Cleveland, he managed an office for American Dental Centers Inc. from 1980 to 1994. 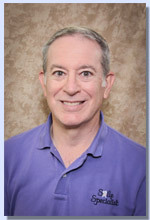 Dr. Weitz purchased a dental practice in Lorain, Ohio where he presently practices. Dr. Weitz has memberships to the American Dental Association, Ohio Dental Association, Lorain County Dental Society, and has previously been president of a local dental study club in Lakewood, Ohio. Dr. Weitz is on staff at Lakewood Hospital for both Emergency room calls and in house consultations. He is the staff dentist at Kendal at Oberlin retirement community and an adjunct facility member of the Lorain County Community College Dental Hygiene School since 1999. Dr. Weitz has one daughter, Dr. Emily Weitz, D.D.S., who received her undergraduate degree in 2011 from The College of Wooster and her dental degree in 2015 from Indiana University School of Dentistry. 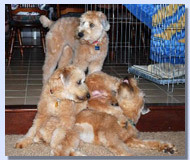 Dr. Marie Albano and three Wheaten Terrier dogs also live at home with Dr. Weitz. His hobbies include photography, golf, attending fine arts performances and Cleveland sporting events. He also enjoys making small woodcrafts and miniatures, gardening, reading dental journals and novels, cooking, baking, and spending time with his family. Nancy is Dr. Weitz's dental assistant. She has been with Dr. Weitz for over 10 years. She received her education at LCJVS and Lorain County Community College (LCCC). She is licensed in Radiography and CPR. You will find her alongside Dr. Weitz in the Lorain office, as well as at Kendal at Oberlin were we have been treating the residents for over 7 years. 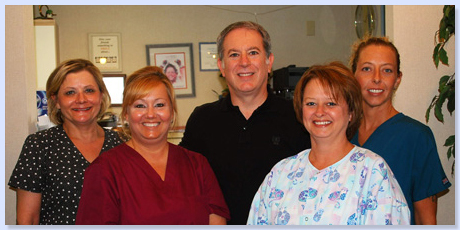 "It is my goal that all my patients receive good quality, compassionate dental care." 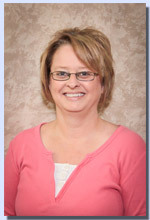 Linda has been with Dr. Weitz for over 7 years and a patient for 18 years. As office manager, she is responsible for scheduling patients, checking them in and out and answering the phones. She also takes care of all the insurance business and will gladly follow up insuring claims are handled properly. 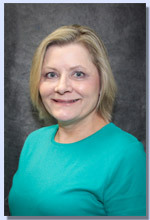 Linda is responsible for the Accounts Receivable and will help patients when they need assistance with payment plans. She is certified in CPR. Nancy is a registered dental hygienist. She is a graduate of Lorain County Community College (LCCC), CPR certified, and has been with Dr. Weitz for over 9 years. Nancy wants every patient to leave her chair with a positive dental experience. Jeanne received her Dental Hygiene Degree from Cuyahoga Community College, and her Bachelors of Science from Youngstown State University. She is certified in CPR. 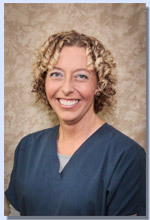 She loves working with patients of all ages and is committed to the advancement of oral hygiene and general health. 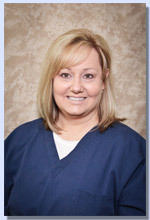 Jeanne has been with Dr. Weitz for over 14 years.